Seems a shame to have a beach picture in black-and-white, especially one featuring a pink building in the background, but that's how they rolled in 1945. Check out Uptowners enjoying Foster Avenue Beach, looking north, with the Edgewater Beach Hotel in the background. In present day, Friday is the official opening day for Chicago beaches! 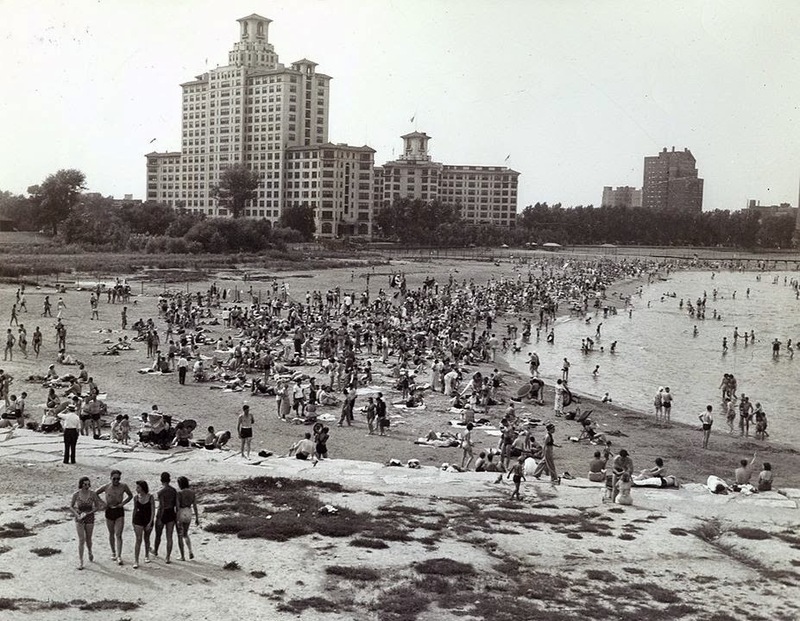 I always thought the shorter pink building in the pic was the Edgewater Beach Apartments. It doesn't look like it from this view.